I've never diluted it more than 50:50, at which concentration it's been fine for the past decade over 3 different 1ers. Just shows how little thought I have put into screenwash. I just use the stuff from the supermarket. What are the disadvantages of the cheaper stuff? 1) The exhaust/turbo warms the area up to the perfect temp for growing biological nasties inside your washer bottle. 2) Once your bottle is filled with black bio film, blocking the motors, it's an absolute pig to access for cleaning. Cheapo fluid often doesn't contain the essential anti-bio additives. Well there you go, I had no idea! Are the antibacterial properties in these more expensive washes benificial even when it is diluted? I get through so much screenwash sometimes it’s unreal! As long as you use a lot of fluid I don't think you need the antibacterial stuff. It will be replaced before anything starts to grow. Pah, none of the above do it for me. Only ginger extract will do. Helps with nausea, loss of appetite, motion sickness, and pain. free delivery too if you cannot be bothered.. 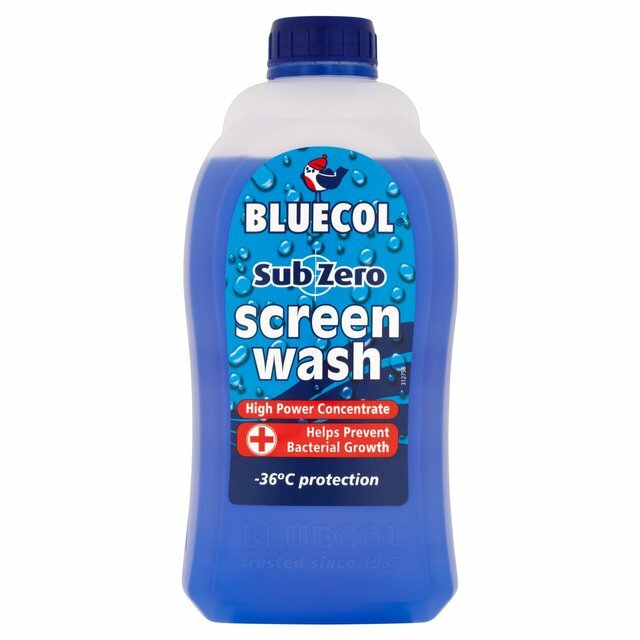 So 1L is £3.59 of Bluecol (even reduced at time of writing). That means it's £17.95 for 5L, which is more expensive than I pay for the BMW stuff which I can dilute down more and becomes more cost effective. Even with the discount code making it £11.30 for 5L, it's still not that far behind if you're only diluting that by a half, whereas BMW will go a third easily and still work down to UK winter temps (I dilute a quarter in summer no problem). I think if you're getting through loads of it then you probably wont get any issues with blockages as the fluid will be constantly cleaning the pipes through. My cars (1er and e91) probably only do 8K and 6K per year and the e91 can be sat for a couple of weeks sometimes if I don't need to drive anywhere, which is when the build up can occur. Still, as the above suggests, the BMW screen wash isn't that expensive in the grand scheme of things. I think if you constantly keep the tank topped up, the black biological sludge growing on the surface won't ever get anywhere near the pumps at the bottom of the bottle.